A delicious low calorie, low sodium snack. Cheese Corn made with real cheddar cheese. So delicious...unlike any other cheese corn you've ever had. A yummy, buttery caramel popcorn. It melts in your mouth and will leave you wanting more. Caramel, Cheese & Kettle Corn. A unique blend of our 3 most popular flavors. The perfect combination of sweet & salty with just a hint of butter makes it a delicious gourmet treat. A delicious blend of caramel and cheese corn. Sweet and salty and oh so craveable. One of our unique robust flavors! Seriously, it taste just like peanut butter! Who doesn't like the taste of chocolate and peanut butter together?!? A nice cayenne spice flavoring. Its got a delayed heat - just wait for it. Spicy cheddar cheese coated spicy popcorn - very hot!! 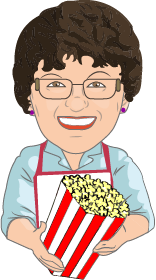 We add a little salt to our caramel corn and it makes the caramel flavor pop! 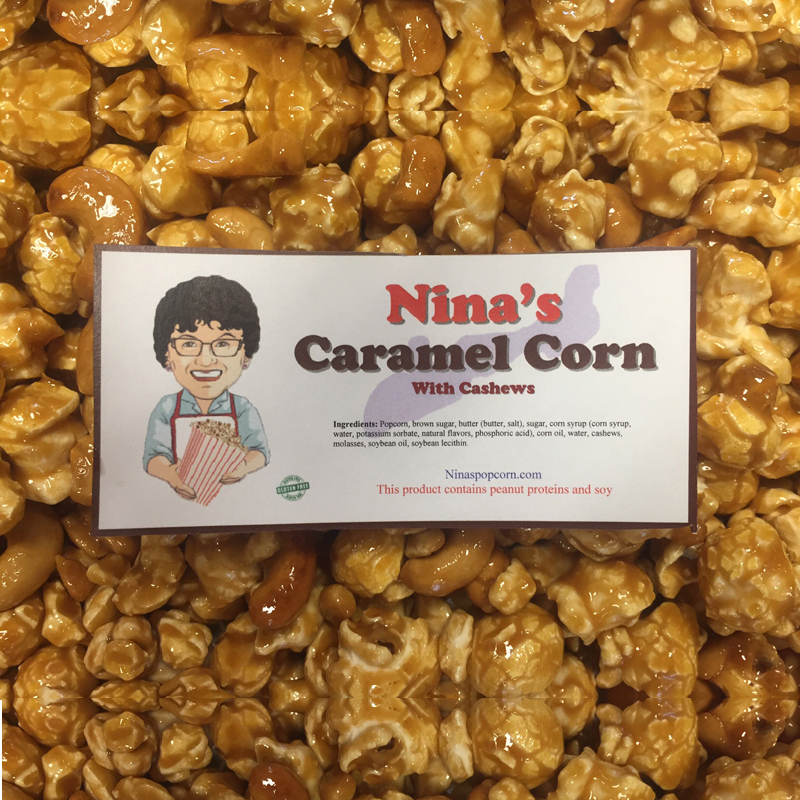 Our delicious caramel corn with plenty of caramelized peanuts. Our delicious caramel corn with plenty of caramelized cashews. 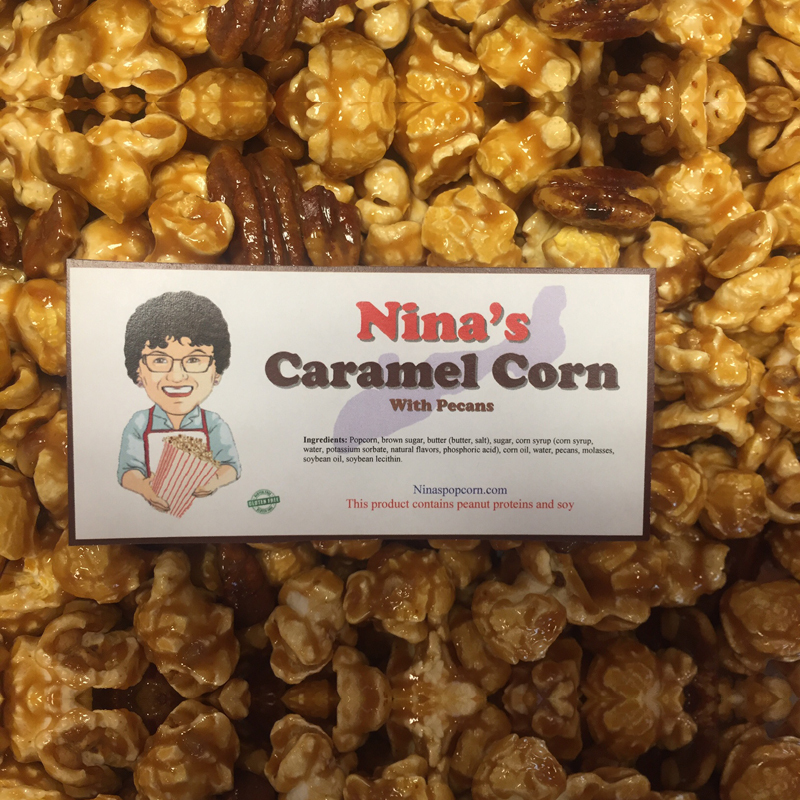 Our delicious caramel corn with plenty of caramelized pecans. A rich chocolate flavor without the mess. Our delicious kettle corn minus the dairy. 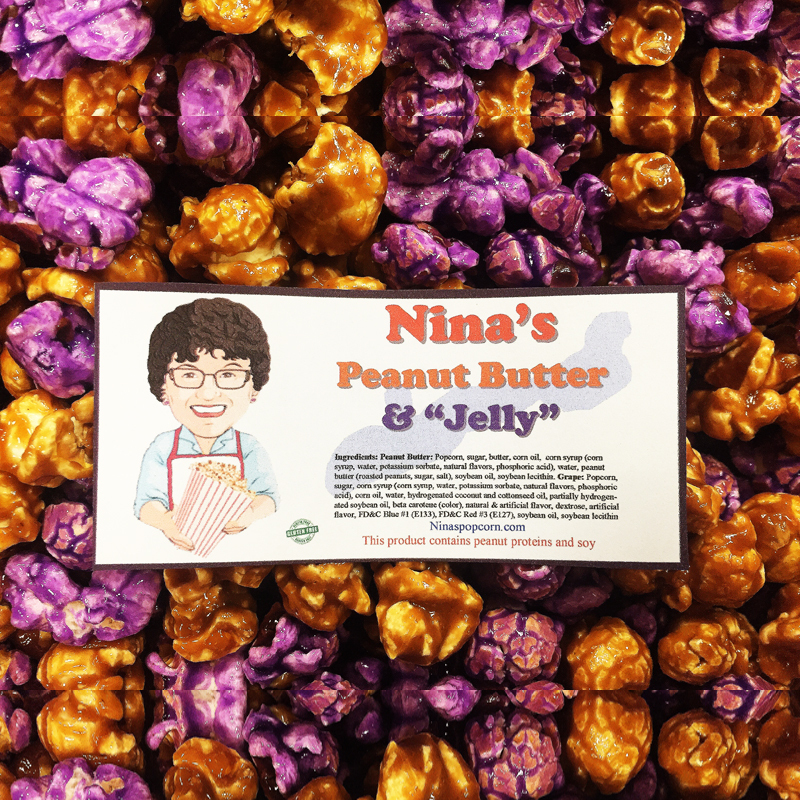 We take our grape popcorn and mix it with our delicious peanut butter popcorn. When combined they taste just like a PB & J without the bread. 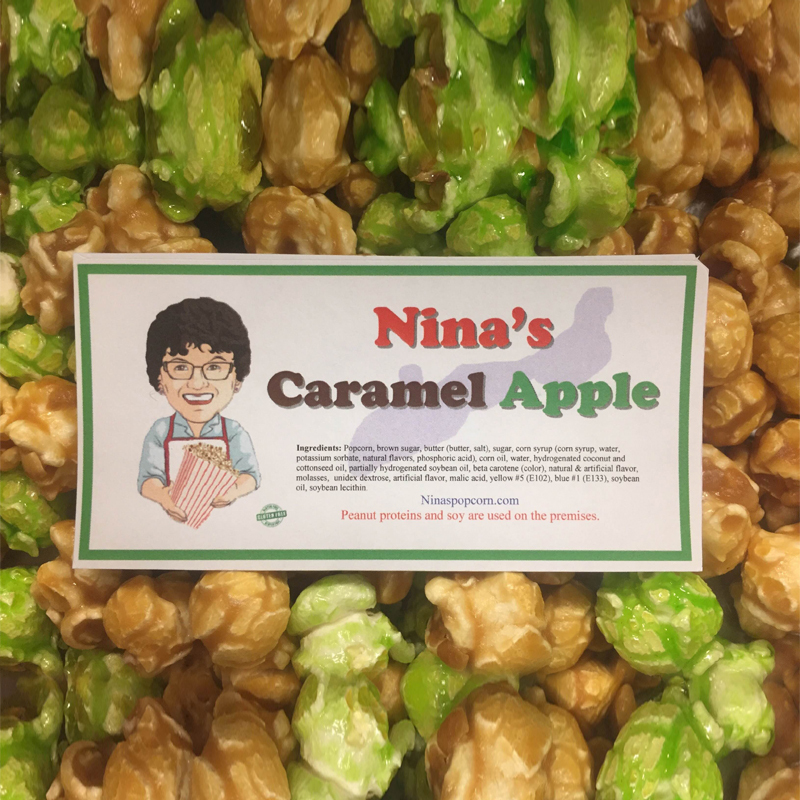 A wonderful mix of buttery caramel corn and green apple popcorn. 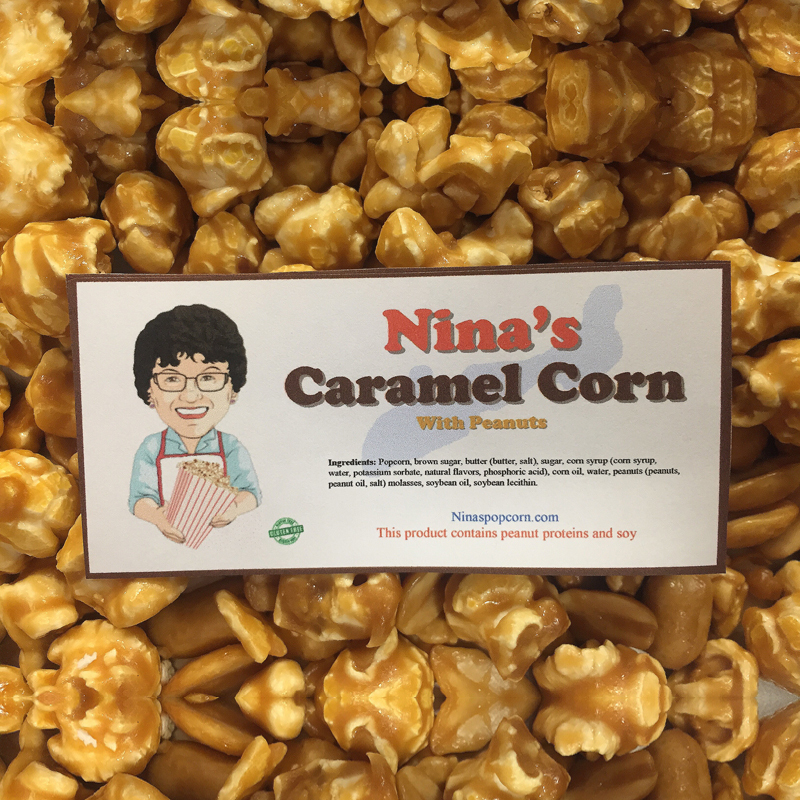 Each bag of Nina's Popcorn contains 10 cups of popcorn.